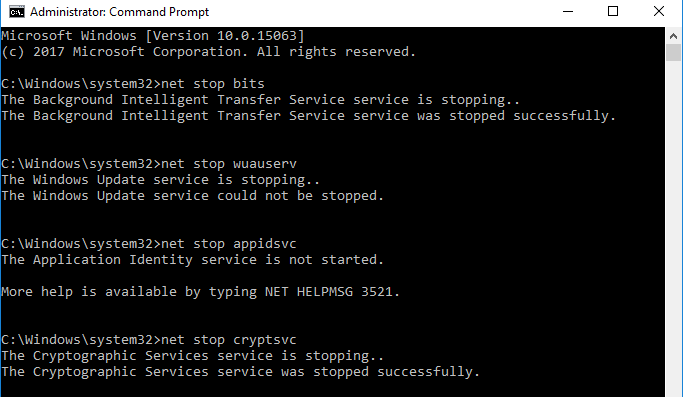 Some Windows users have encountered the error 0xc1900208 while trying to upgrade to Windows 10. Just so you know, this error means there is an incompatible software installed on your computer which is preventing the upgrade from taking place. Of late, anti-malware applications have been problematic for recent Windows builds. In this article, we’ll learn how to solve this problem by finding and removing problematic applications and fixing Windows update. Antivirus applications and utilities like Glyph, CheckpointVPN, to mention are known to have barred users from upgrading Windows. Here’s how to find such applications and remove them. Press Windows + E to open the Windows Explorer, paste C:\Windows\Panther in the address bar and then hit Enter. In the Panther folder, search for the Compat*.xml file with the latest time stamp and open it with a text editor of your choice. In the file, you’ll find the name of the incompatible app there. Take note of it and proceed to the next step. 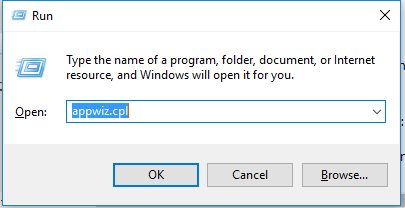 Press Ctrl + R to open the command prompt, type appwiz.cpl and click OK. In the programs window, look for the incompatible app from the installed apps list and Double-click and then follow the uninstall prompt. Reboot your PC and to run the Windows Upgrade to confirm if the issue has been solved. Read the XML file can be very discomforting. Using the Media Creator (ISO) will directly tell you which programs are preventing you from installing the update. Open an elevated command prompt by pressing the Start button, typing cmd and then opening as a administrator. Restart your PC and check if Windows Update stop producing the error when you try to update.